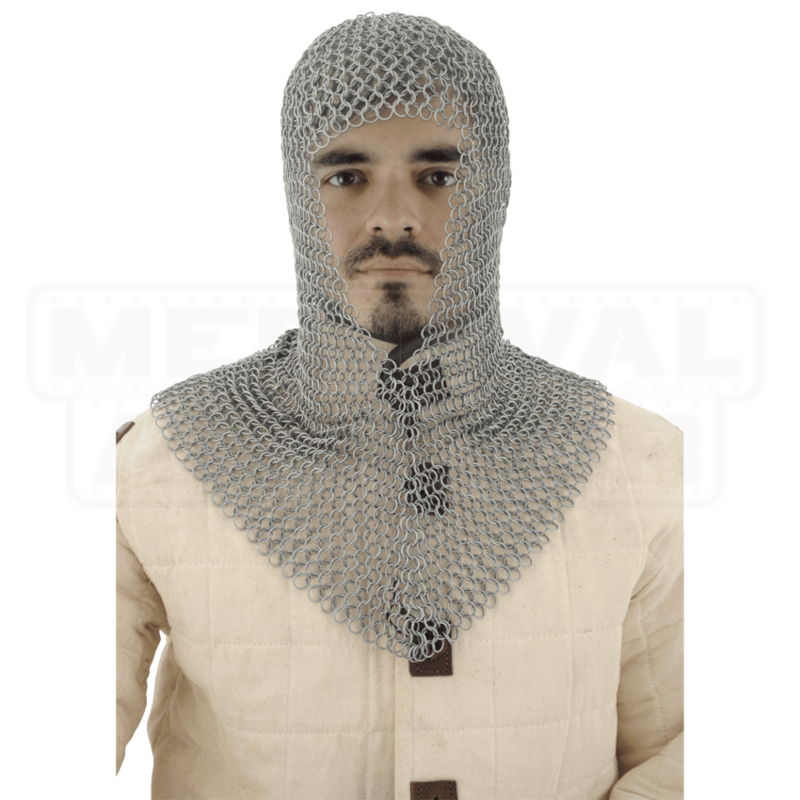 A magnificent addition to the LARP or reenactment gear of those who wish to achieve a medieval persona, the Butted Steel V Shaped Chainmail Coif offers an economical and authentic design which radiates the look of a medieval knight. A V shaped face is used in this design, providing supreme protection of the head and neck. The rings are crafted from 16 gauge mild steel in a 4 in 1 butted design, which is perfect for use in LARPing or costuming, but not intended for use in weapons-contact re-enactment. A zinc plated finished is featured on this coif which creates an eye pleasing metallic look which is easy to complement with your other armor. 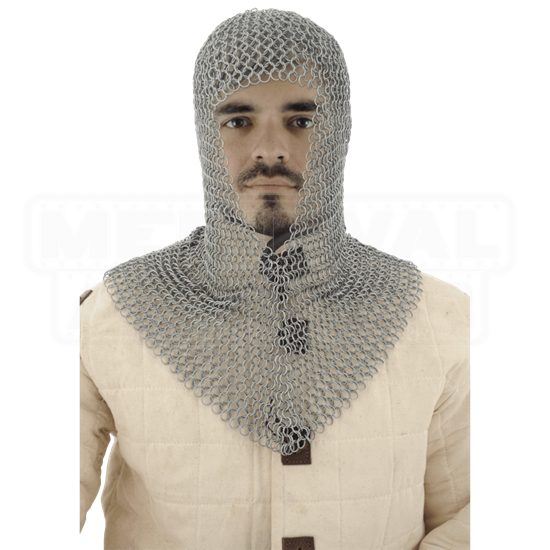 The Butted Steel V Shaped Chainmail is a superb choice for imbuing a touch of medieval style within your battle attire and pairs exceptionally well with a matching chainmail hauberk, such as AB2481 or AB2459.